I had a sales call to make in Cheyenne, Wyoming on July 28, so Connie went with me. 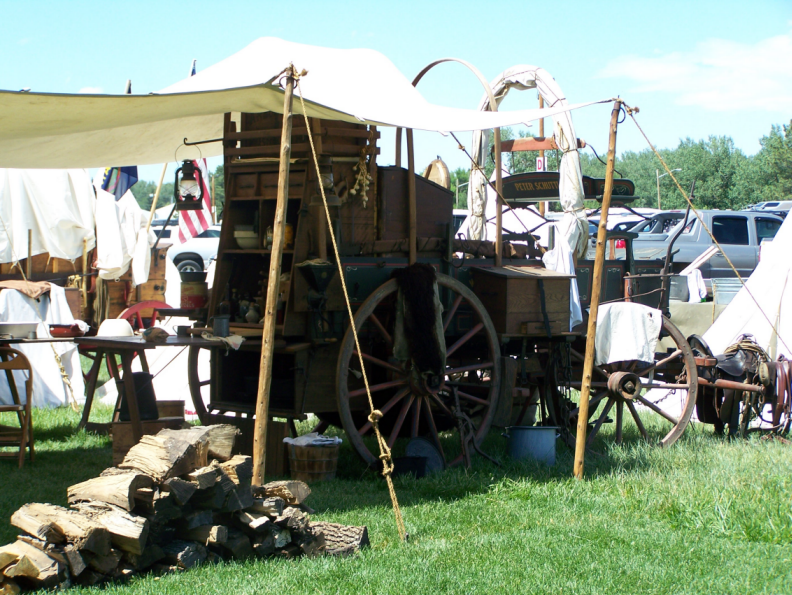 It turned out that it was Frontier Days in Cheyenne so it there was plenty to see. Also, a colleague, Brad Adams went and his wife Phylis went so Connie had someone to pal around with while Brad & I made our sales call. In the afternoon of the 28th, Connie & I went to "The Daddy of Them All," the rodeo. It was a great show. One of th chuck wagons at Frontier Days. There were about six or eight of them. Rt. 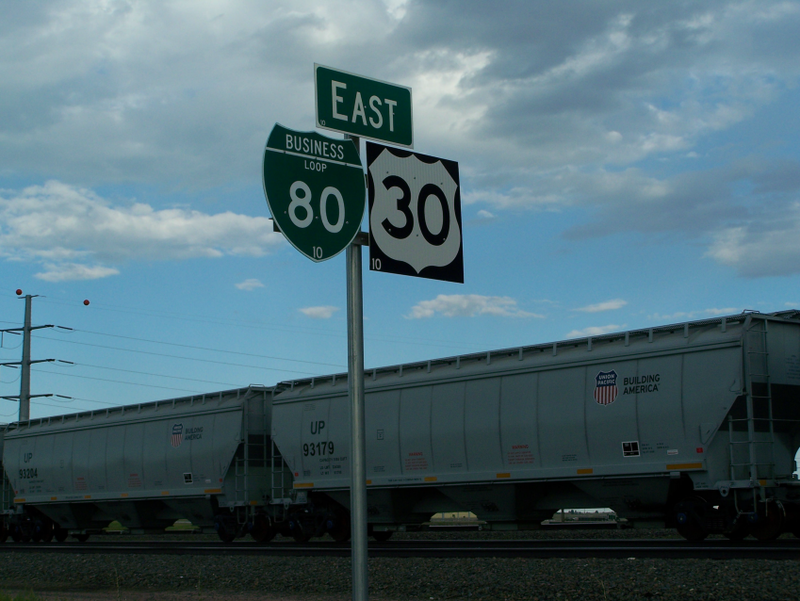 30 just West of Cheyenne. So now I've driven on Rt. 30 in Wyoming.